The end of 2018 is fast approaching and now is the time to review your most successful marketing channels and look ahead to the trends that you should include in your 2019 digital marketing plan. 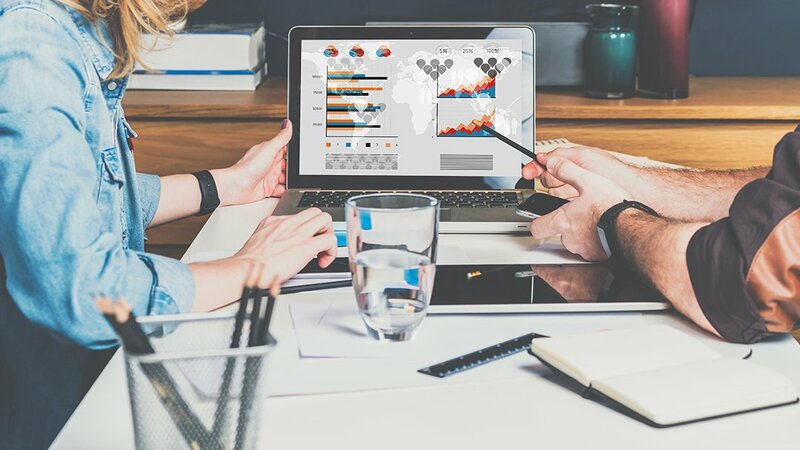 It can be easy to keep your marketing engine running on the status quo, but it's important to look at the new tools, technologies, and features that are available to make sure you are capitalizing on every opportunity to be successful, continue to grow, learn new tactics and thrive in the new year. As you look ahead, here are ten things that you should take into consideration when you start crafting your 2019 marketing plan. Let's take a deeper look at each one of these tactics and strategies to see how you might deploy them in your marketing plan this year. Buyers and researchers all have preferences about where to get their information. We live in a content creation world that has more publishing mediums than marketers can really wrap their brains around. Sometimes, that can lead to analysis paralysis when it comes to deciding what channels to add to your marketing mix. It’s no secret that social media algorithms favor native content on their sites. And it makes sense when you think about it: Facebook (and all social platforms) gets paid more if they serve you more ads. When you click on a post that leads you to another site, the chances that you’ll come back and keep scrolling right away are low. While we need to adapt our strategies to include more native content, it doesn’t mean that you should never post links to your own website. In fact, SEO guru Rand Fishkin recommends that you still have a strategy that favors links to your own site. Getting users to your site is where you have more control, you have a chance to try and convert them to a subscriber or a lead. The bottom line is that it comes down to balance. Include native content to increase your page engagement rates but add some links to your site to focus more on lead conversion. On top of this algorithm change, platforms like Facebook and Instagram have made commitments to make the newsfeed more about friends and family (and consequently less about brands and pages). So, what can we as marketers do to make sure we get seen? Utilize the Groups functionality. Groups are more interactive and allow for discussion and conversation. Because Groups are focused less on the “push” mentality of social, they haven't been penalized the same ways that pages have in the algorithm. Create and post native content for your target social media channel. Drive most of your traffic and leads from LinkedIn? It might be time to think about how you can publish more native content that keeps people on the LinkedIn platform. Consider boosts and promotions. Hey, at the end of the day, if you want more eyeballs to see your content, you might have to pay for it. Think about ways to maximize the reach of your best content by promoting it through the ads platforms. Just make sure that you are paying for visits to your site not engagement on the platform. Increased native content on your most successful social channels. Social media group for your most engaged contacts and customers. Continued or increased social advertising budget. Content marketers create A LOT of content on the internet. In fact, over 3 million new blog posts are created every single day. While the basics of search engine optimization (like keyword research, metadata, etc) are still important, they are simply the baseline standard for any content that’s created today. Domain Authority: A numerical value on a scale of 1 to 100 that calculates how your website is likely to rank in search engines. External Ranking Factors: Search engines can’t rely on signals only created by a company’s own website. Instead, the number of shares, current number of ranked pages, average customer reviews and external backlinks to your site play into how well your website or page will rank. 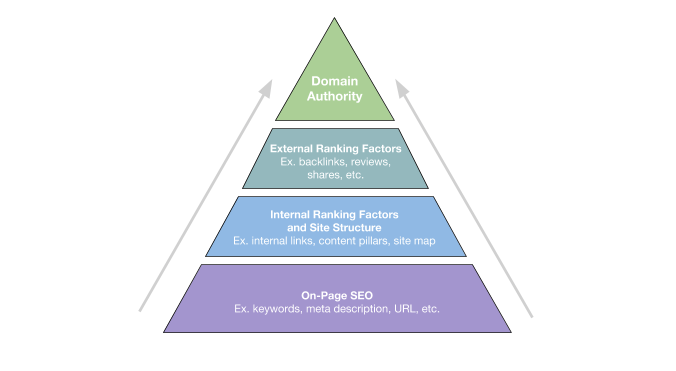 Internal Ranking Factors and Site Organization: Well-organized websites do a good job of helping search engines understand the hierarchy of content available. One of the best ways to achieve an organized site structure is through content pillars. Each one of these tactics builds on the one before and when you combine them all together successfully, you can raise the domain authority of your website, which in turn raises the visibility and power of each individual page on your website. In a recent podcast, Seth Godin illustrated how content has changed in the last 100 years. Think about it. In the early 20th Century, people’s choices of produced media were simple. The family all gathered around the radio and listened to the same programs. Today, we all have personal devices, multiple TVs, radios in our cars. We can have a completely personalized media experience. We can subscribe to podcasts, YouTube channels, Netflix and HBO. Not to mention things like IGTV and Facebook Watch. With so many options, the audiences become smaller and more segmented, but also more focused and specific. This changes our strategy as marketers. We need to make really amazing content targeted toward a much smaller audience. So think about how you can focus in this year. Think about creating some type of weekly content that your best customers expect and anticipate. As consumers, we are growing more and more accustomed to frictionless transactions with products, services, and brands. What is friction? Friction is when we create barriers in the way of our customers making decisions and buying our products or services. Think about the difference in your experience with a cab before Uber and your experience after. Before: You find the phone number to a cab company or try to hail a cab in the street. You get in the car and you have to tell the driver where you are going and wait for them to enter the address into their GPS (or give them directions). After your ride, the driver needs payment so you have to sit and wait in the back of the car waiting for the driver to make a carbon copy of your credit card because he doesn’t have a card reader that works. And you leave with no easy way to provide feedback about your experience. After: You download an app that has all the necessary payment information built right into the setup process. Now when you are ready to get a ride, it’s as simple as plugging an address into a GPS. The car comes directly to you and your driver already knows where you are going. When you’ve reached your destination, you can just get out of the car. Once the ride is over, you have a place to provide feedback, take care of the payment and tip right from your phone screen. You're on to the next thing and the driver is looking for his or her next ride. 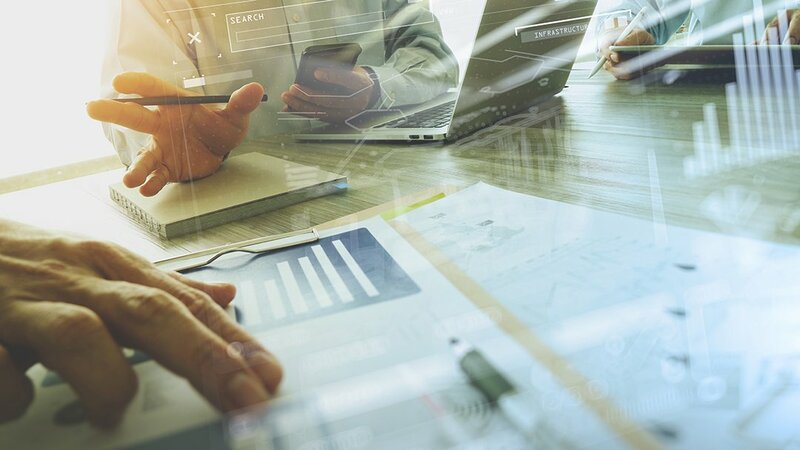 While many in the B2C space have begun to optimize their processes for less friction, many B2B companies don’t think about ways to create a streamlined buying process that doesn’t muddy the waters for your buyers. Want to learn more about this idea? Check out Brian Halligan and Dharmesh Shah’s keynote presentation from HubSpot’s Inbound 2018 Conference. The answers to everything are out there on the internet. Yet it’s amazing how many companies still fight to keep their information a secret. Here’s the deal. If you aren’t putting information about your pricing, process, and expectations out on your website, one of your competitors is. Customers demand transparency from brands and if they don’t get it, they will move on to the next company. We as consumers are conditioned to have instant access to information like pricing, reviews, customer photos and more. As a marketer, you CANNOT make it hard for your audience to find these things. Make it easy, make it foolproof. It’s not always easy to give cut and dried pricing. We get that and so do your customers, it’s not about having an accurate proposal, it’s about having the information to make an informed decision. Buyers today are in control and they like it that way. Don’t flip the script on them. And remember, if your pricing, process or expectations scare them away, they probably weren’t worth your team’s time and energy anyway. Create a website plan that includes publishing information about your company’s pricing, process, and expectations. In the business world, data is everything. But so many companies stop collecting data when it comes to customer feedback and reviews. Not only do reviews play into Google’s ranking algorithms, but they are also a great way to gather qualitative data from your customers. The truth is that most customers aren’t going to give you feedback unless you ask for it. In 2019, it might be time to create processes around gathering customer feedback in the form of Google Reviews, Facebook Reviews, or even Net Promoter Score. Research and review the best review system for your company, industry, market, etc. 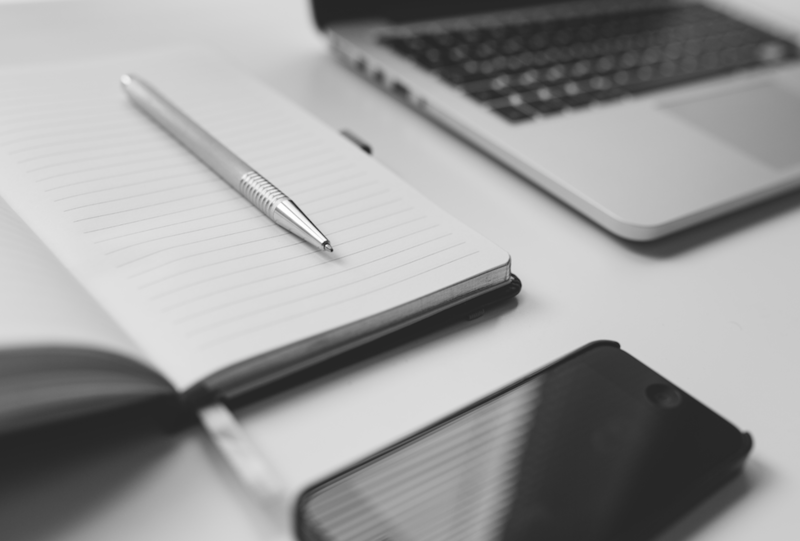 Develop a plan for reaching out to your customers to get reviews on a consistent basis. Just like when we go to the store, we like customer service reps to be available exactly when we want them, not a moment before or a moment after. Live chat and chatbots can be a great way to connect with your users when they are ready to talk to you. With many platforms to choose from including Facebook, Drift, HubSpot, etc, many companies have made the switch to this type of engagement platform on their website. And chat just keeps getting smarter. Now, instead of relying on their team’s bandwidth, many companies have made the switch to automated chatbots that help screen visitors and answer their initial questions before sending them through to a salesperson. Check out some great examples by visiting the websites for Single Grain and Web Canopy Studio. Stay up-to-date with changes in technology, web standards, search algorithms, etc. Refresh the look and feel to keep visitors engaged with your website. Do a content audit of pages that are underperforming. Update the UI/UX of your website to make it as user-friendly as possible. However, there has been a shift in the website development world and many companies are now moving to a growth-driven design methodology. Growth-driven design is a more agile, focused website redesign sprints instead of the giant overhaul website projects that companies have historically used. Another thing that search engines favor is regularly updated websites because, often, the newest information is the best information. With that in mind, companies are shifting away from lengthy redesign projects to smaller, more iterative website design and development agreements. This change allows marketers to test and measure what works best for their audience and double down on areas where they are having the most success. Lead Ads: Facebook's new advertising workflow allows you to direct paid traffic to a lead collection form without ever leaving the platform. The form integrates with a user's information that is already stored on Facebook and reduces the friction for buyers. Plus, some marketing automation platforms, like HubSpot, directly integrate so that the leads are automatically funneled into your database. Facebook Messenger: Messenger now has 1.3 million active users, and the platform recently launched an update that allows Facebook Pages the ability to integrate Messenger in order to directly communicate with their audience. Live Video: The introduction of Live Video on Facebook provides brands with a direct connection to their audience that has been hard to achieve with the declining organic reach. Video can be a key strategic ingredient for any company, but Facebook Live allows companies to create video directly on the Newsfeed. Since the platform is still relatively new, these posts are highly-favored and appear regularly for your page's audience. If you haven't started with Facebook Live, check out our simple guide for businesses. Facebook Watch: If you are a seasoned content creator who is always looking for new places to curate your content, look no further than Facebook Watch. This Netflix and YouTube hybrid is still just gaining steam and will continue to be a big part of Facebook's content strategy in 2019. Videos tell the story of your business in a way that no other media on your website can. Like a window into the culture of your company, videos help develop trust with customers. However, a lot of companies see video strategy as a giant, expensive project that is not worth their time or money. Video doesn't have to be a giant, stressful, expensive endeavor. With the right video production company or internal process, you can create video content that can help drive visits, leads, and, most importantly, customers. No matter what your video budget was for 2018, you should plan to increase it for 2019. If you didn't spend any money on video last year, now is the right time to start. Here are some considerations and templates to help you get started with video marketing. Consumers are more aware than ever of how their data is being used online. It’s important to stay on top of the current trends in data privacy and make sure that your company is using data ethically and responsibly. If you are a US-based company (who only does business here) you may not have had to make any drastic changes. Though no conversations are on the radar for a GDPR-like policy in the US, it won’t hurt to be informed and understand what the changes mean for businesses in the future. Understand data privacy basics in your industry, country, etc. Evaluate current processes to make sure you aren’t violating any data privacy laws/best practices. These are just a few considerations to add to your 2019 Digital Marketing Plan that would be universal to most businesses. It's important to spend some time researching before you create any documented strategy to make sure that you are staying on top of the best tactics to accomplish your company's goals. Have other thoughts and ideas about which trends are going to become essential this year? We'd love to see your comments below!